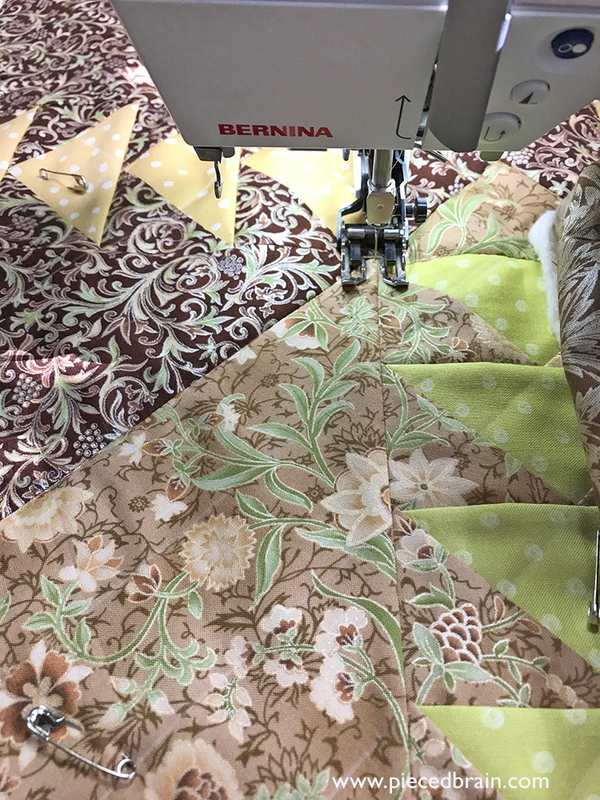 This table topper finished at 38-1/2" square, a perfect fit for my dining room table. I used Hoffman Fabrics Gypsy Princess fabrics I've had for years and never wanted to cut into (you know that type of fabric, right? ), and added some cool dot fabrics by Marcus Brothers. I pieced it with Aurifil 50wt thread, and quilted it with Aurifil monofilament on the ditch and elsewhere with Aurifil 40wt. Nothing beats their monofilament on the ditch - I use it on top and in the bobbin with no complaints from my Bernina. On this photograph (no funky lighting) you can see the real color of the Gypsy Princess fabrics. Don't you love them? 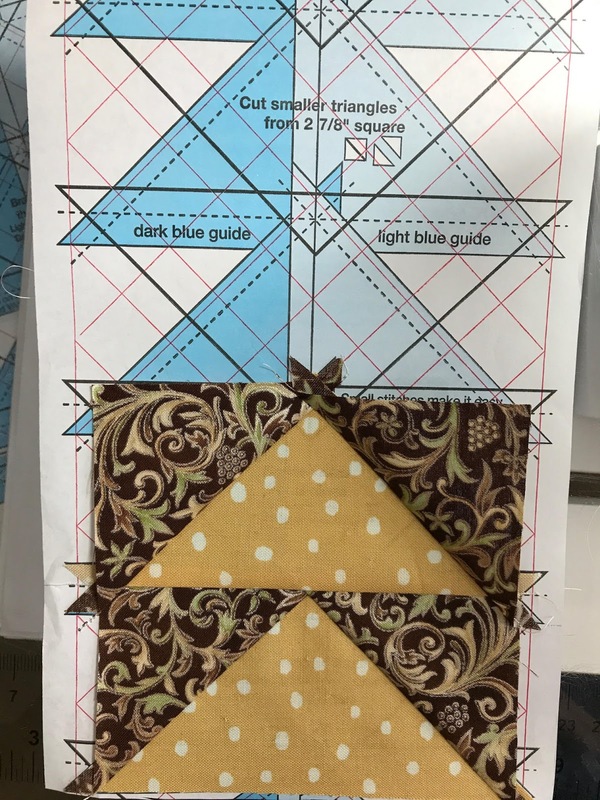 The Flying Geese blocks were really easy to put together because for this pattern we used the 2" x 4" Flying Geese and 6" Braided Paper Triangles on a Roll # 1504. That was such a fun way to sew flying geese! The patches are cut to size, than stitched onto the paper (no need to flip and sew like we do in foundation piecing), then we stitch the flying geese stack to the rest of the block, and finally remove paper which comes off easily. 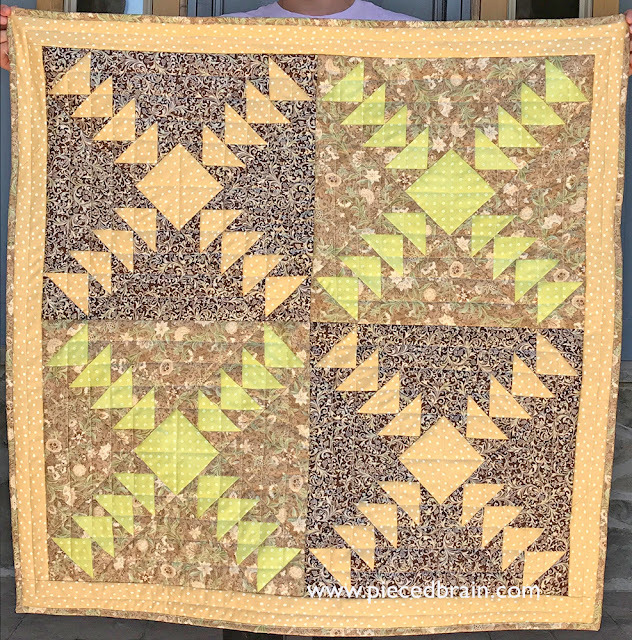 The fabric placement on the pattern is super cool: two shades of darker fabric on the background, two shades of lighter fabric on the flying geese and squares. 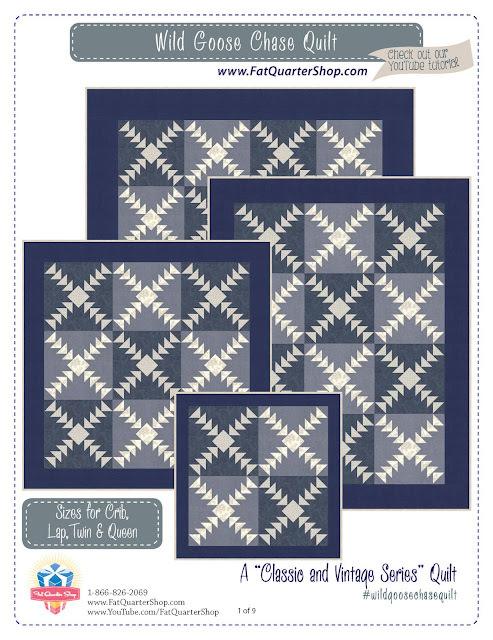 The bed-size version of the quilt would look great with scrappy, light fabrics on the geese. 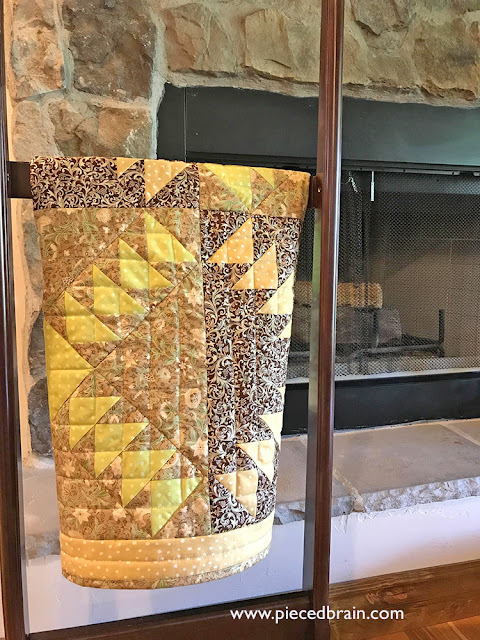 Lets go check out the quilts by the other participating bloggers to see how they turned out by going to Fat Quarter Shop's blog. I can't wait! Your table topper looks great Denise! This table topper is lovely. Love the lighter flying geese in the darker background fabrics.